Lima (Peru), 24 Dec 2016 (SPS) - The Peruvian Council for Solidarity with the Saharawi Arab Democratic Republic (COPERASD) called for the release of political prisoners from the group of Gdeim Izik and all Saharawi political prisoners in the Moroccan prisons. 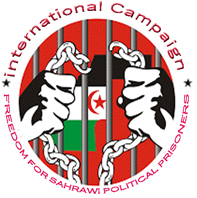 Before the trial of the Saharawi prisoners, the group of Gdeim Izik, COPERASD calls in a communiqué for "the release of the Saharawi political prisoners", urging the international community to denounce "the genocidal policy of the Kingdom of Morocco against the Saharawi population. "The trial lacks guarantees and it is automatically void, as has been pointed out by the international organizations," it said, adding that "the defense of the Sahrawis is hampered". "The feudal kingdom of Morocco has expelled international jurists and denied access to international observers to this trial," added the Peruvian Council, calling Morocco "the greatest transgressor of human rights in the world."